Sou | 2:02 PM Feel free to comment! Not much happening on WUWT in the past couple of days. Here's a a rundown on a couple of articles. Jim Steele, who I've written about before here and here, continued his lone vendetta against a biologist who he has a grudge against, using WUWT to do it (and to try to get someone to buy his book). From those previous articles he has no credibility left and I'll not bother with him any further. 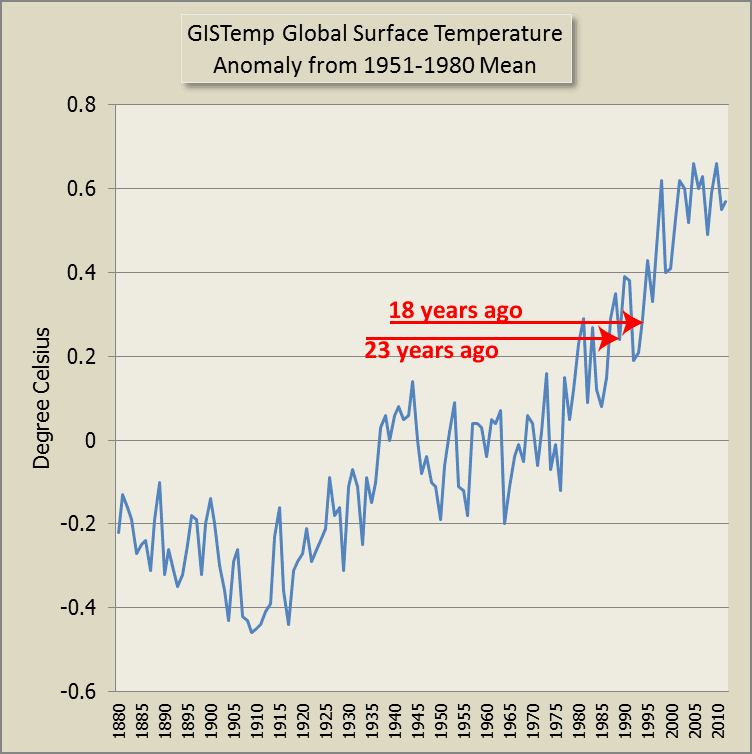 Fake sceptics go to an awful lot of trouble in their attempts to disprove global warming. If only they put as much effort into figuring out how to address the problem. 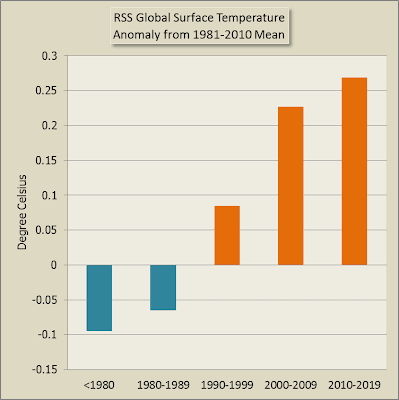 Here is the RSS chart. 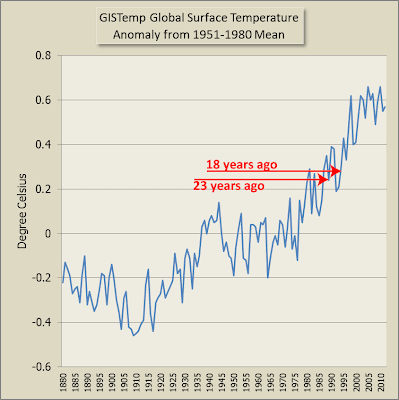 It registered a very high anomaly for 1998, the year of the super El Niño. 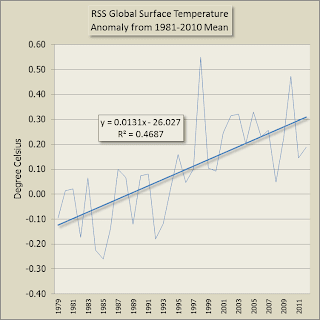 What will happen the next time we get a super El Niño? 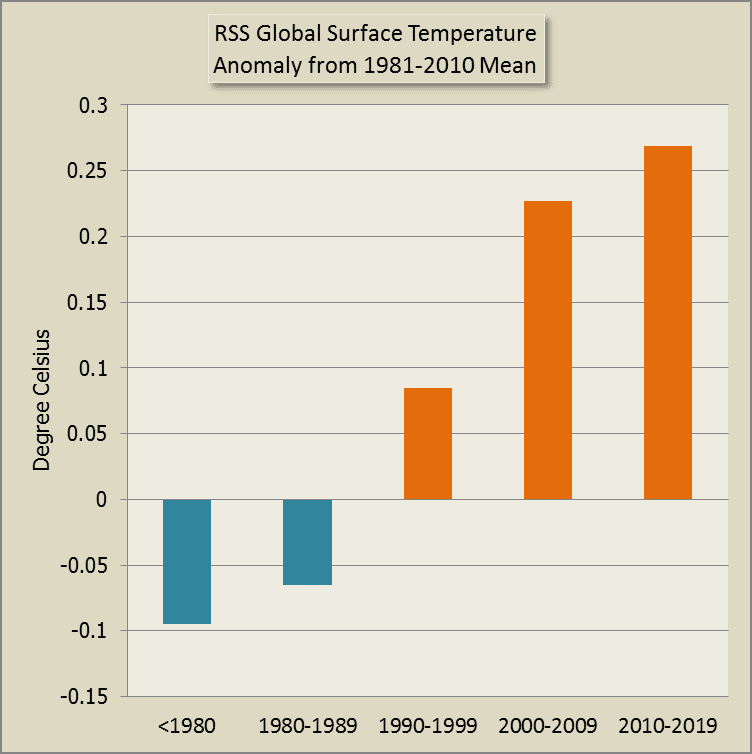 Here is a decadal chart of RSS temperature anomalies. The first and last decade are, of course, incomplete. What do you think? 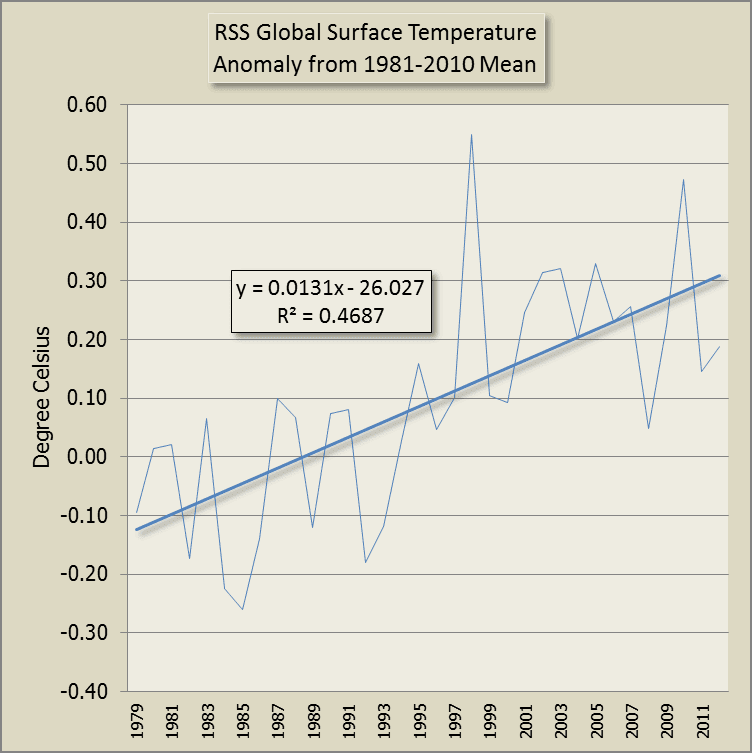 Climate trends are much easier to see in years than in months, because months clog up the data with seasonal fluctuations and noise. Longer term climate trends are even easier to see in decades, because years have noise from year to year natural fluctuations, like ENSO. Bear in mind, too, that RSS doesn't monitor temperatures right to the top of the poles. It only goes as high as 82.5 degrees North and South. So it misses out on some of the Arctic amplification. 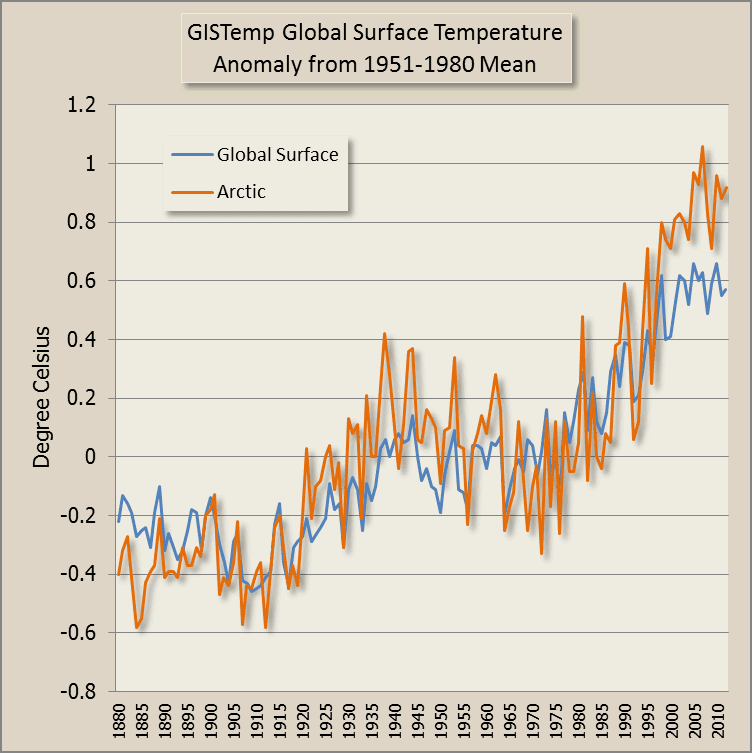 Here is GISTemp showing also the temperature 64 degrees and north (the Arctic).